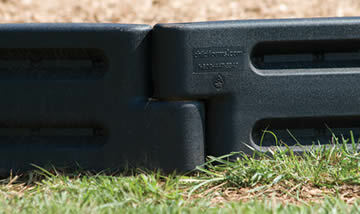 Receptacles and trash cans for your playground, school, park, or organization. 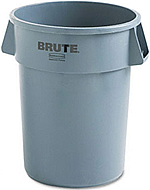 Our trash cans and trash receptacles are tough, durable designs from the top names in the business. Keep trash where it belongs — inside the can or receptacle, not on the ground or in the paws of local wildlife. Each unit not only conforms to playground standards, they’re also easy on the eye, blending in easily with all playground motifs. 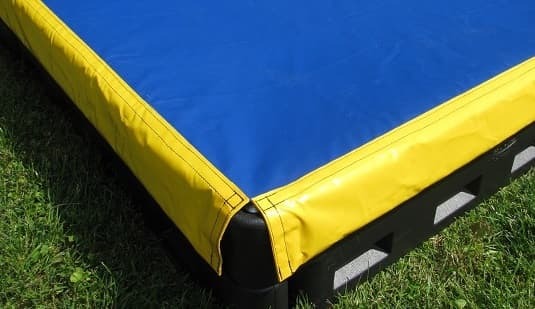 You can rely on us to provide you with quality site amenities and trash receptacles that give you peace of mind. After all, secure garbage retention isn’t just an aesthetic issue, it’s a health concern. Please note that our trash can units don’t necessarily come with items like liners, supports, and footers for burying in the ground — these are each sold separately. This rugged steel trash receptacle keeps the trash in and everything else out. Two sizes available: 32 gallons or 55 gallons. 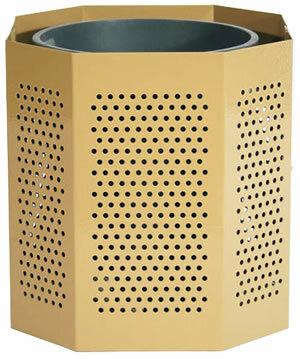 The receptacles are made from perforated steel. Colors available in black, blue,brown, green, red, tan. Please see the next section for lids available for this receptacle. Note: The photo here shows the receptacle with a plastic liner inside it (sold separately, below). If you have any questions about the trash receptacles, call us TOLL FREE.